K&C will assist you in your search for commercial office space for rent in Makati, Ortigas, Alabang, Eastwood, Manila, McKinley Hill, Fort Bonifacio (BGC) and Cebu. 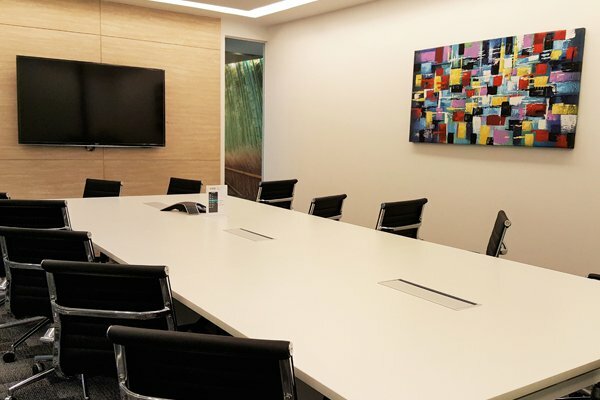 We have extensive listings of office space not only in the commercial business districts of Salcedo Village, Legaspi Village, Ayala Avenue (Makati) and Taguig. Whether you choose the central business district or a more affordable option, most office buildings are located close to public transportation and are in very safe areas. These are ideal buildings for any call center, contact center and IT-BPO companies in the Philippines. Whether you require a single desk, small office or business incubation, K&C can provide a short term office solution that’s attractive, professional and equipped to handle all your business needs, so you can maximize productivity and reduce monthly costs during your start-up months in the Philippines. Temporary co-working office space, workstations, seat leasing are ideal for those who are not ready to commit to a full permanent office space while ramping up employees and infrastructure. In fact, many small foreign start-up companies in Metro-Manila tend to be more conservative and economical and begin with an incubator type option. Selecting the appropriate commercial office space is important in any country, but even more so in the Philippines. Major considerations are tax incentives (which can depend on the geographic location of a business) and employees. A desirable place of employment for your local employees is a must in the Philippines. The most desirable office space for Filipino young professionals is located in office buildings in Makati, Ortigas, Fort Bonifacio (BGC) and the IT Park in Cebu. In general, the professional Philippine workforce puts more emphasis on their work environment. Although garage or industrial Silicon Valley style office space is desirable to most American young professionals, this may not be true with the Philippines workforce. Their expectations are generally higher. Filipino employees in Metro-Manila and Cebu generally prefer a more well-known, and prominently located office that is accessible to public transportation. Some young professionals may not even turn up for an interview if they do not like the office environment. There are tax incentives K&C will identify for certain buildings and even offices units that reside in special economic zones (PEZA) where businesses and individuals are allowed to avail of special tax breaks in Makati, Alabang, Ortigas, Cebu, Clark, Subic and Taguig, Metro-Manila and other parts of the Philippines. Some of these commercial buildings have perfect office space options, such as private offices, for call centers, contact centers, IT and other IT-BPO companies. Due to high traffic levels in the Makati, Taguig, Fort Bonifacio (BGC), Ortigas and Manila, it is always best to choose living space that is safe, conveniently located, and close to your office building. K&C will assist you in selecting living space in Makati or Taguig, which is ideal for you and your company’s budget. The most desirable places to live for single Expatriates are Salcedo Village, Rockwell and Legaspi Village in Makati and the Fort in Taguig. The most desirable place to live for Expatriates with families is Alabang, just outside of Manila. All areas are close to or inside the commercial business districts of Makati and Taguig and also PEZA and commercial IT buildings with private offices. Public transportation, restaurants and nightlife are easily accessible. All areas are very safe for both locals and foreigners. In fact, these areas have the highest concentration of foreigners in the Philippines. We have flexible office spaces in the top-performing business districts in Metro Manila and continuously seek for new opportunities to set-up additional commercial spaces in other nearby cities.